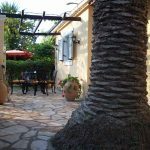 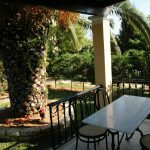 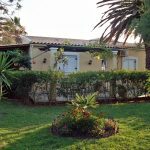 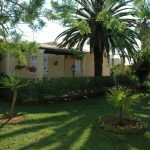 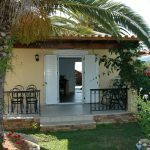 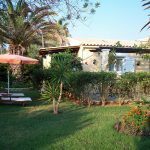 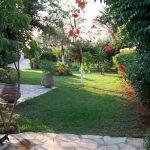 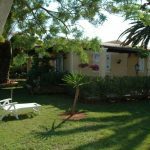 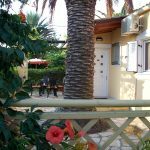 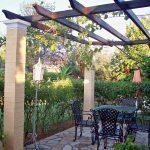 This delightful, pleasantly furnished, one bedroomed cottage located in St. George's Bay South, is an ideal hideaway and has one of Corfu's most beautiful golden sandy beaches on it's doorstep. 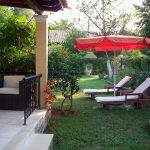 In this private environment, Villa Iris, surrounded by beautifully matured gardens, it shares the domain & the swimming pool with four other small villas each having their own space and garden to relax, dine or pass the time away. 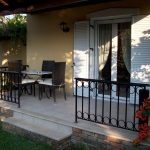 Ideal for small families & couples. 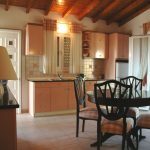 Open plan fitted country style with patio door that leads onto a small balcony, dining facilities & a small sitting area with t.v., shower room with washbasin, double bed with A/C & safe.